When we last pitted these two German cars against each other, it was the Audi that we thought was the better car. 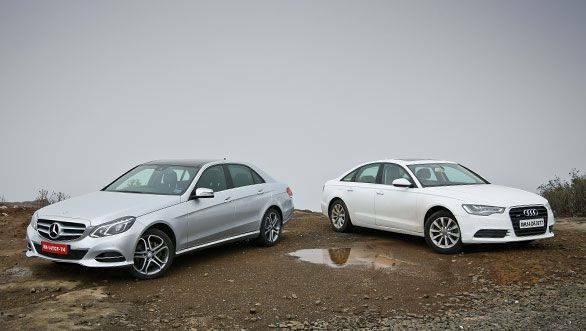 The E-Class was simply not in the same league, it was a whole generation older than the A6. This time around, Mercedes have updated their most important model with a significant facelift and other small changes. Can this help it keep up pace with the Audi? Which one is the better looker? The E-Class has always been known for its elegant styling but the facelift has changed that and it now looks younger, sportier, more aggressive and most importantly gives it a fresh look that it desperately needed, the signature quad headlamps in the process are now replaced with two units but then the use of LED strips still give the car the four-eyed look. The Audi on the other hand has always been the sportier car but when viewed head on, it actually looks less aggressive when compared to the Mercedes. However move to the sides or the rear and there are hardly any changes in the E. This isn't a downer, the car still look rather smart but it's the Audi that looks more sophisticated and nicer when viewed from all angles. 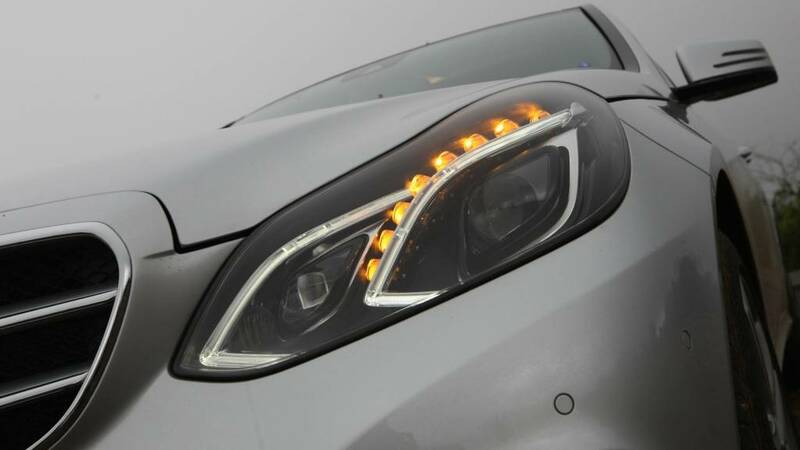 Both cars offer stunning full-LED headlamps and tail lamps. Step inside and the difference is huge, the interior in the Mercedes hasn't changed much, so one gets the same elegant and solidly-built interior. However, the Audi looks more contemporary, is built as well and in our opinion feels more special. The feel of materials is a notch above the Merc too. Audi's MMI system offers slightly more features and is even easier to use than the Mercedes system. The screen is also larger with better resolution. That said, the seats in the E are more comfortable and offer better support. The rear seats are also roomier than the Audi and a better choice for someone who is chauffeured. The A6 is longer and wider than the E but it's the latter that offers slightly more boot space too. The E retains the same 2.1-litre, 204PS engine from the previous model. The four-cylinder unit produces 500Nm of torque that's available from as early as 1600rpm. The A6's four-cylinder unit in comparison puts out 177PS and 380Nm of torque available from 1750rpm; these figures are much lower on paper when compared to the Mercedes but hardly felt in the real world. In terms of refinement, the E doesn't match the Audi's smooth 2.0-litre TDI unit. The Mercedes engine is quite audible too, especially from the outside. The extra power however, helps the E hit the ton in a quicker 8.5s; the A6 does the same in 9.3s. 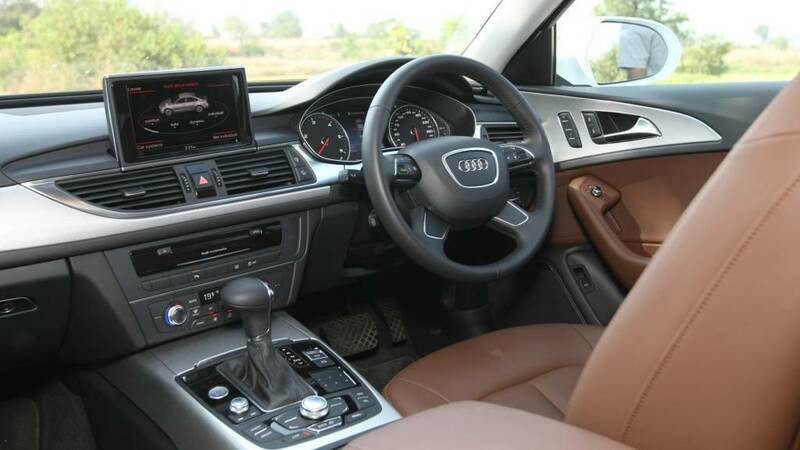 Both cars feature a seven-speed torque convertor but the Audi offers quicker shifts and there is hardly any delay when one shifts gears in manual mode. However, for a torque convertor, the E's 40-100kmph roll-on figure comes up in an impressive 6.5s, quicker than the A6 by a second. When it comes to fuel efficiency, the Audi comes out on top. The A6 returns 14.2kmpl in town and 19.2kmpl on the highway. That's 3.8kmpl and 2.1kmpl more than the Mercedes respectively. The E has never been the enthusiast's choice. It isn't a dynamic car; the steering is light and doesn't offer much feedback. There is quite a bit of body roll and the whole experience isn't very involving. The Audi doesn't feature an all-wheel drive system like in the larger 3.0-litre model and makes do with front-wheel drive. There are signs of under steer when pushed hard but it is still on par with the Mercedes when it comes to dynamics. The steering is quick and precise and when driven back to back, the A6 definitely feels more involving than the E. At high speeds both cars are well planted. 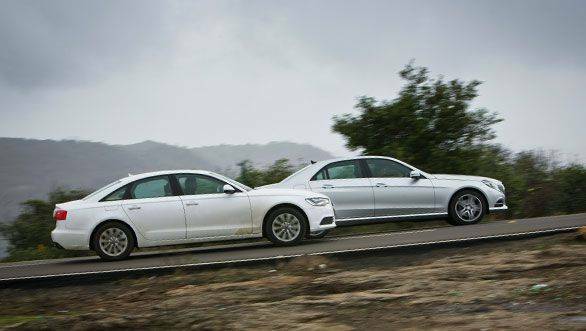 Mercedes is known for its ride and the E is no exception, it glides over undulating roads and is comfortable even when driven through small potholes and broken roads despite running lower profile tyres. The Audi meanwhile comes very close in matching the Mercedes ride but noise levels are much lower at slower speeds over bumps. The customer who buys these car primarily looks at rear seat comfort, cost of running and presence. The E scores in terms of comfort but then the Audi is cheaper to run and has better road presence. Besides, the Audi is priced lower. The E-Class is priced at ? 44.48 lakh, ex-Delhi, this makes it more expensive than the A6 by ? 3.62 lakh. The launch edition - limited to only 100 units - is a CBU model and is priced even higher at ? 49.9 lakh. The Audi then offers better value and also offers similar features at a lower price. It also offers a better power to efficiency ratio and is the clear winner. Mercedes have done a good job in updating the E but it's the A6 that still leads the way.